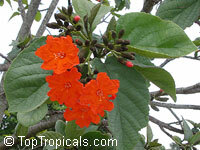 Beautiful orange flowers will become a white edible fruit. 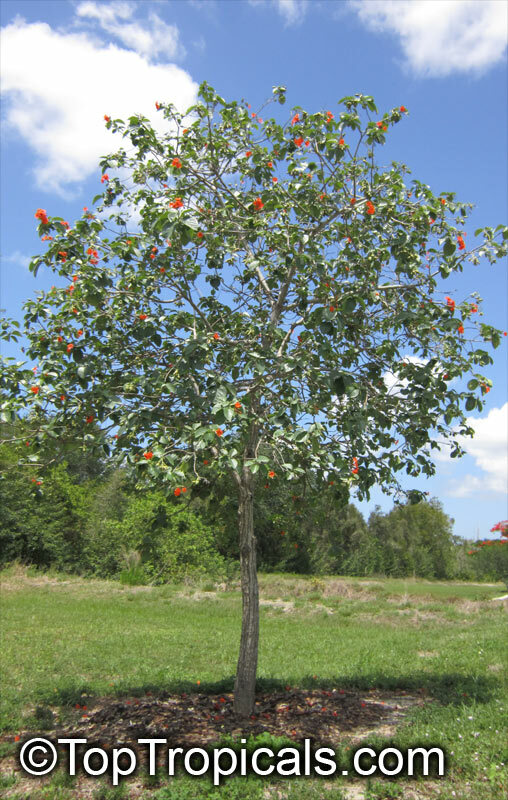 According to the legend, the name Geiger Tree was bestowed by Audubon in memory of John Geiger a Key West 19th century pilot and wrecker. 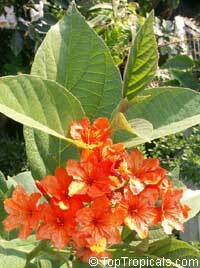 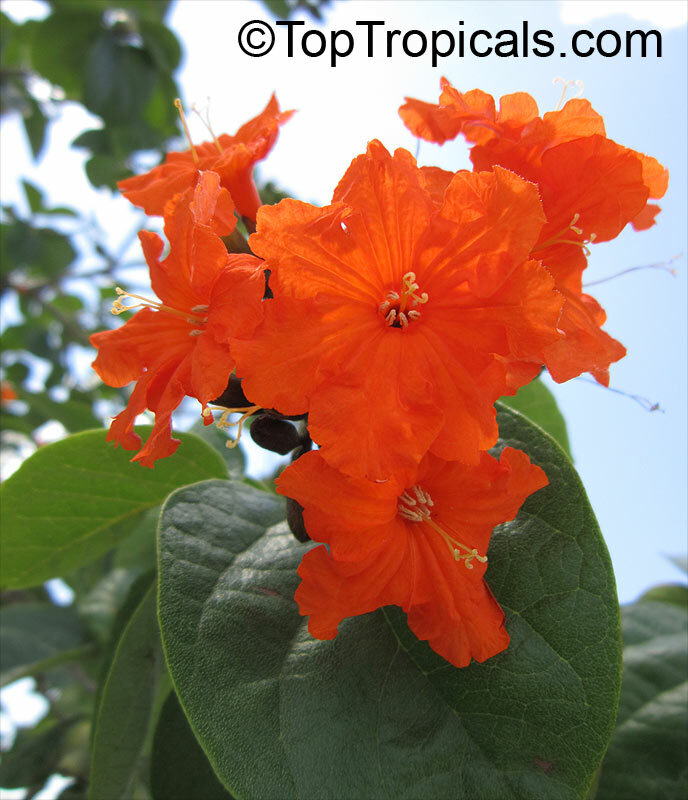 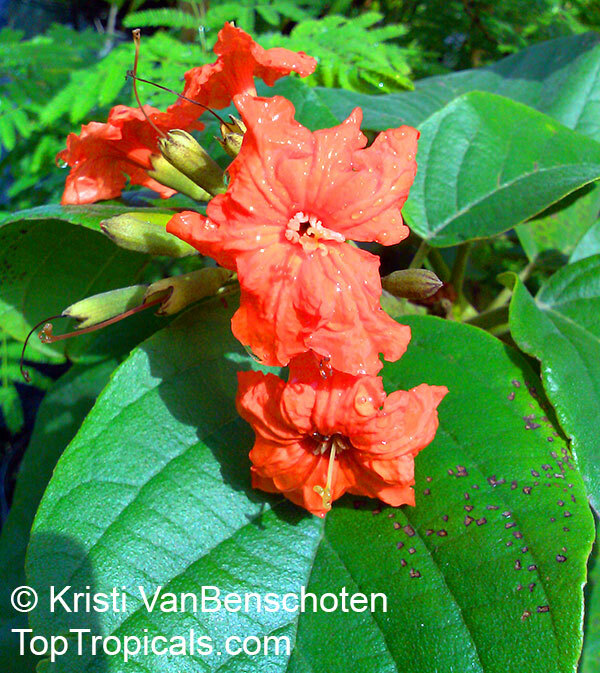 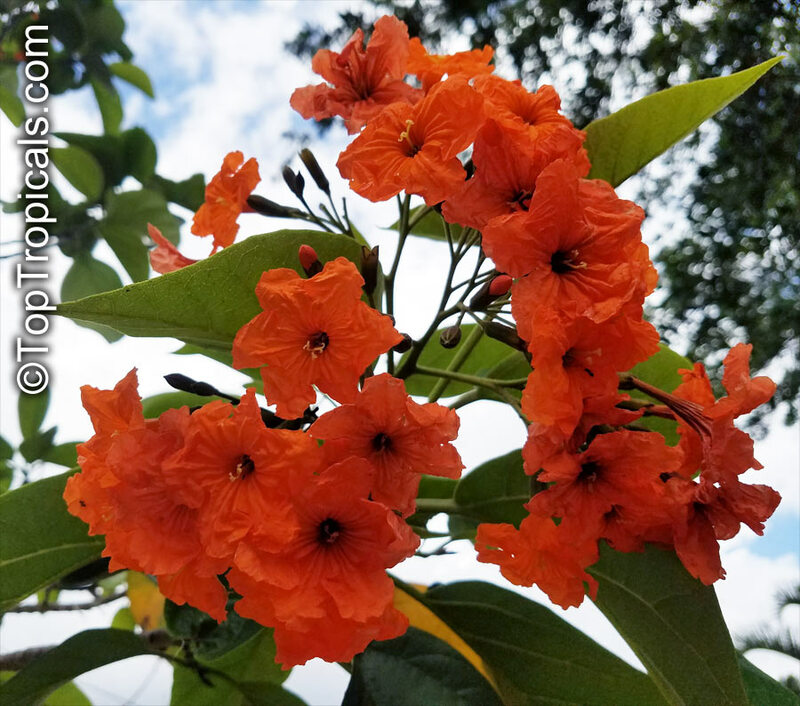 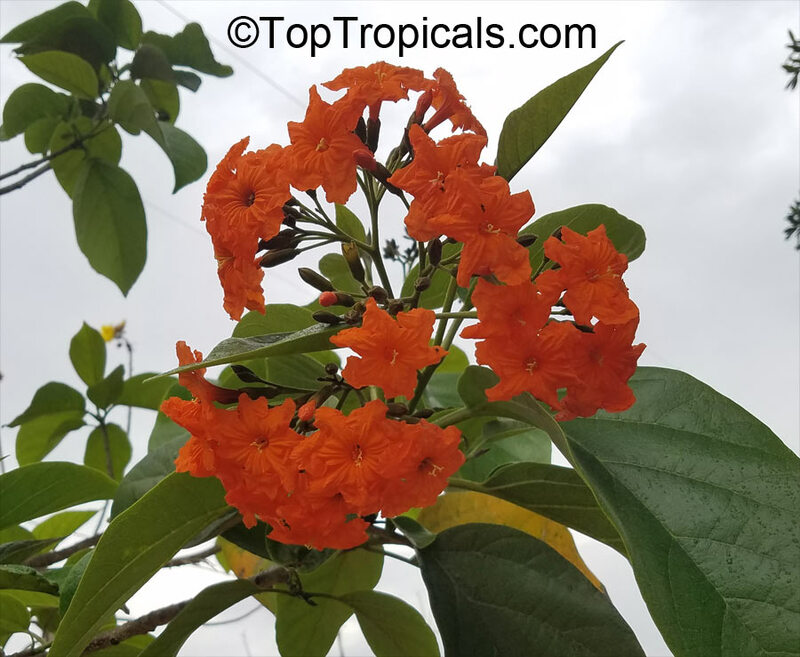 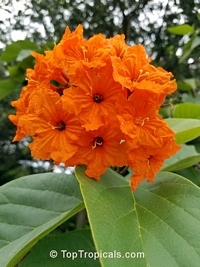 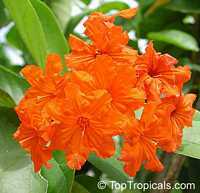 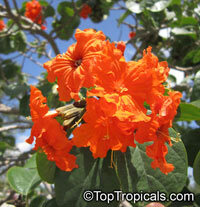 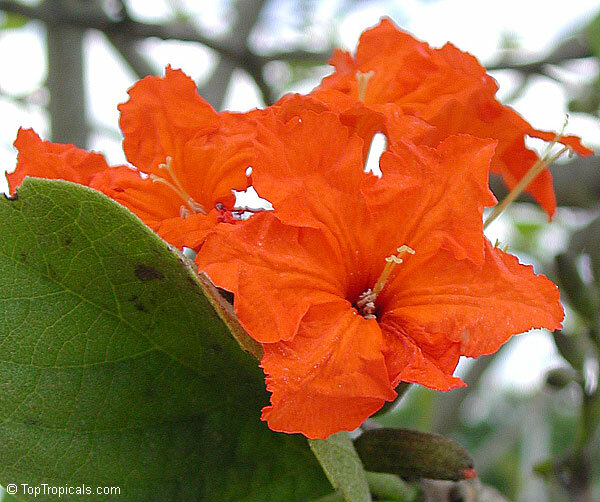 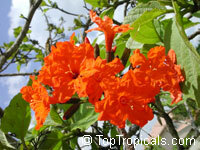 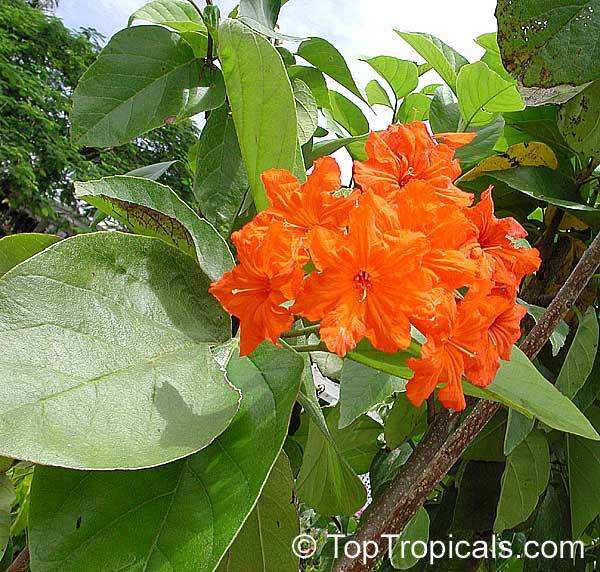 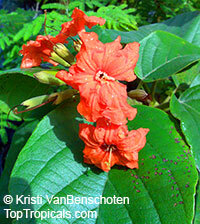 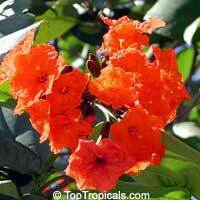 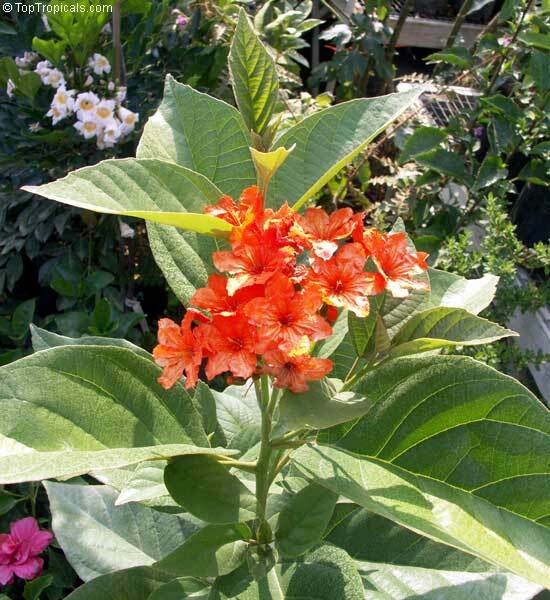 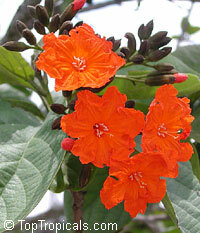 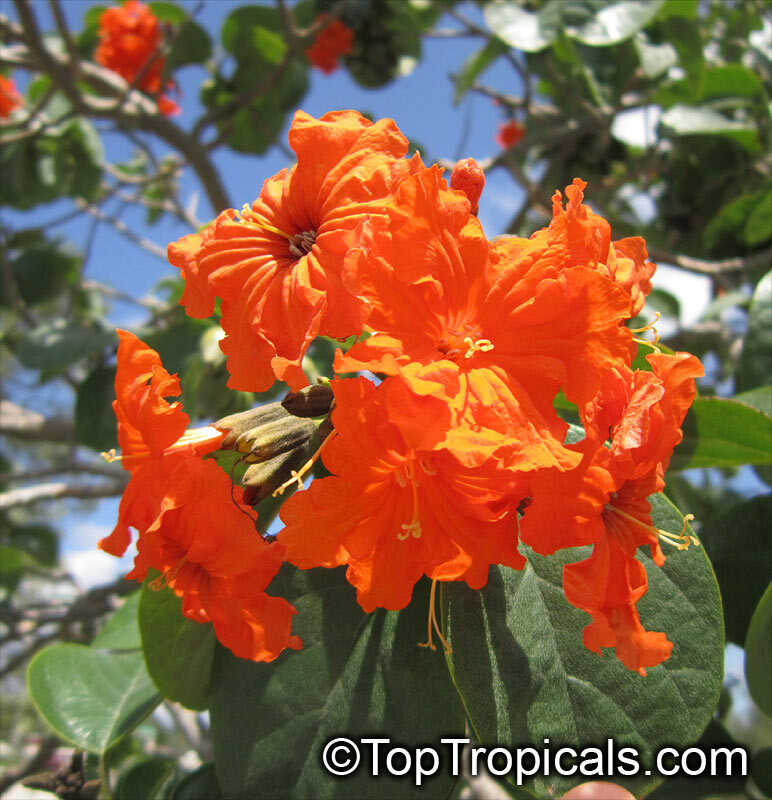 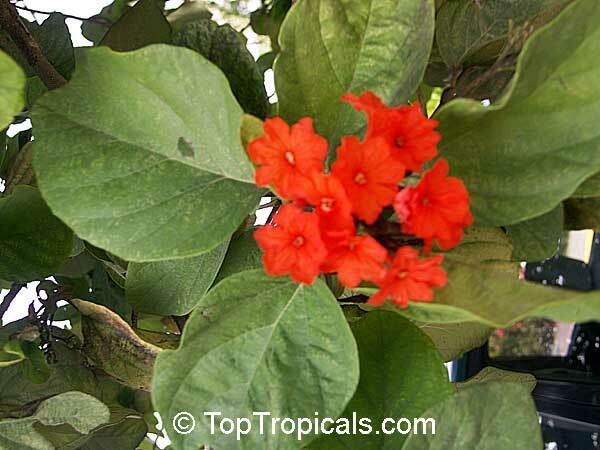 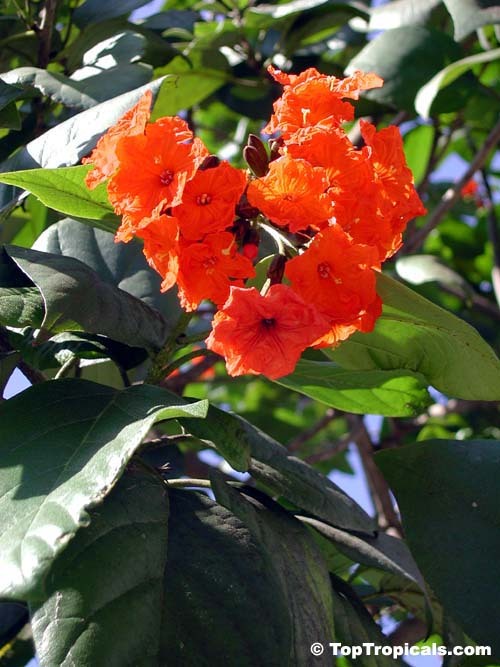 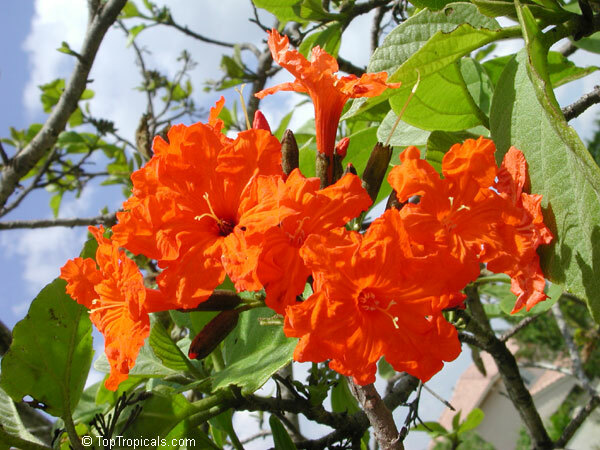 The very showy tubular orange flowers are up to 1 1/2 inches in diameter (4 cm). 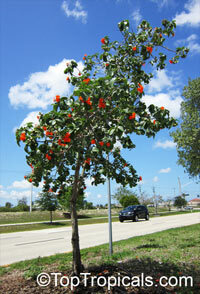 They appear scattered over the tree, most of warm season. 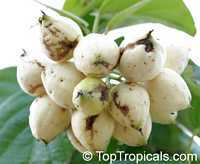 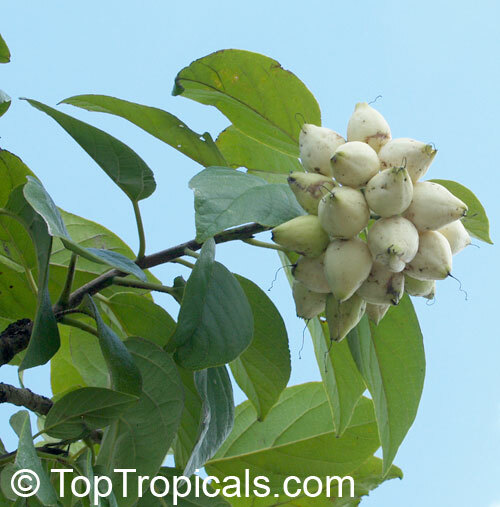 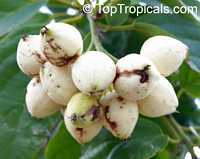 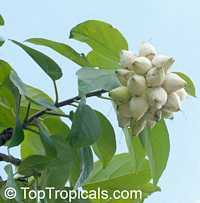 The fruits are oval shaped, 1 to 1.5 inches long (2.5 to 4 cm) with a whitish color. 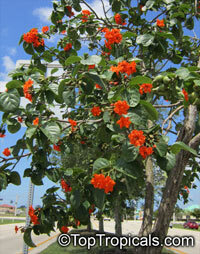 They are borne in clusters. 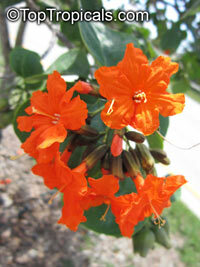 Although they are edible and have a pleasant fragrance, they have poor flavor. 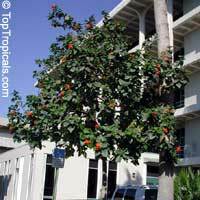 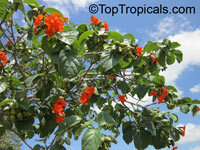 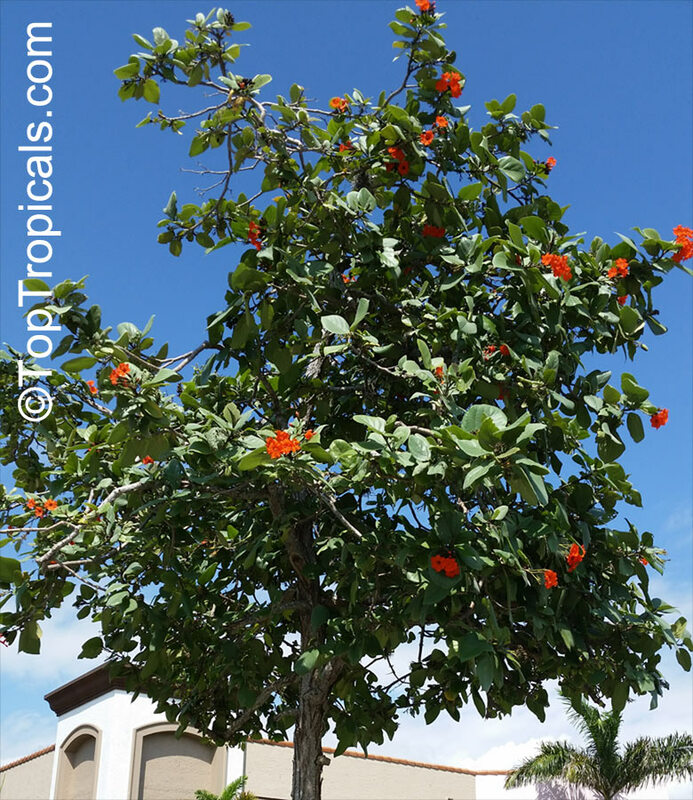 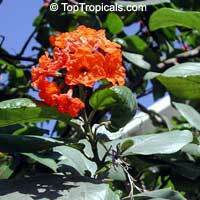 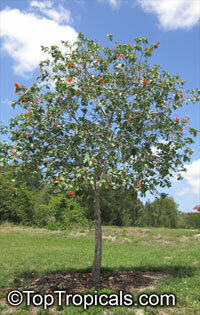 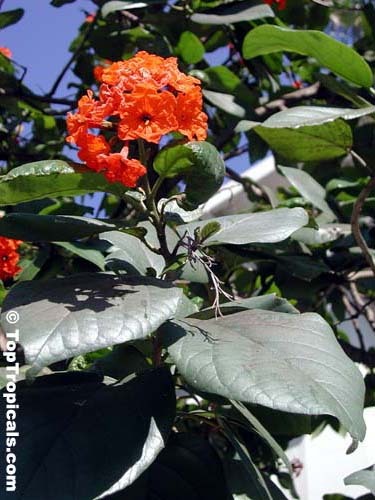 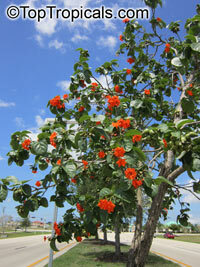 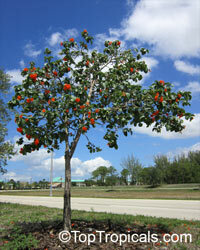 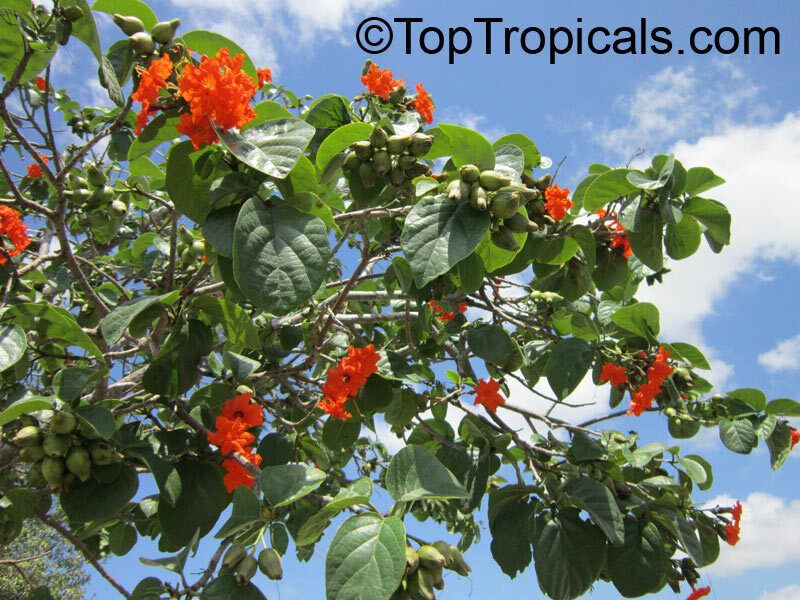 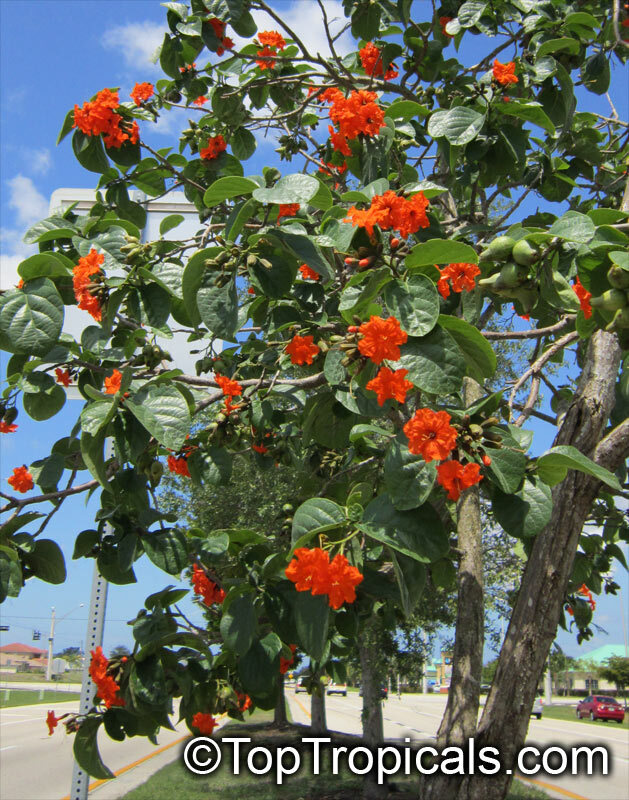 Cordia sebestena - Scarlet (Orange) Geiger tree. 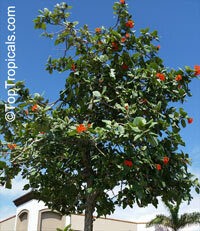 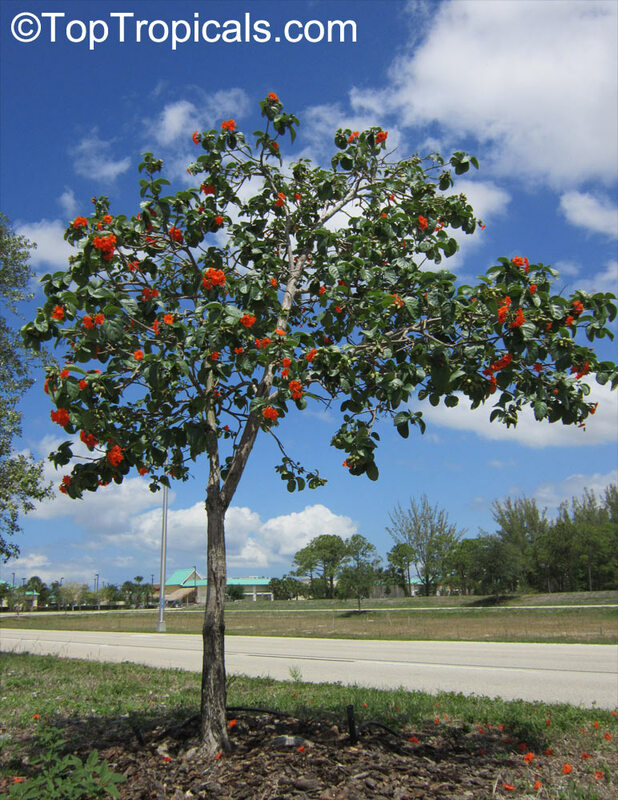 Showy small tree with bright scarlet flowers followed by white edible fruit. 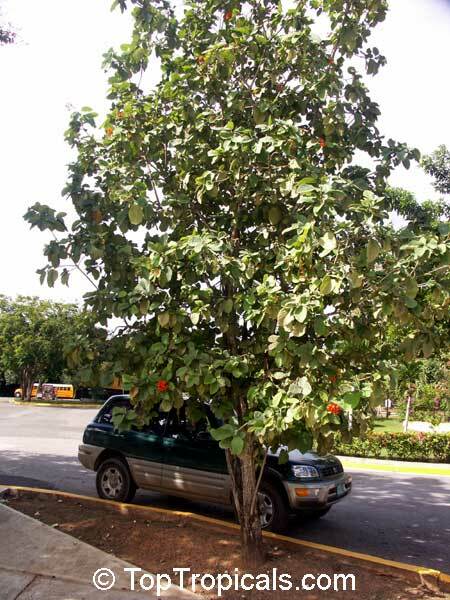 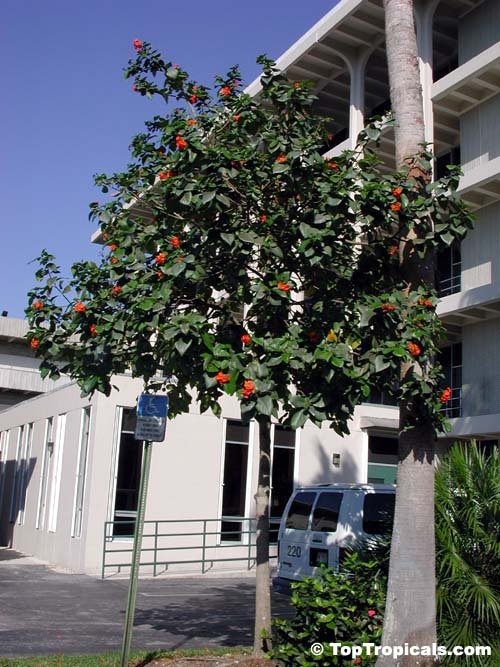 According to the legend, the tree was named in memory of John Geiger a Key West 19th century pilot and wrecker. 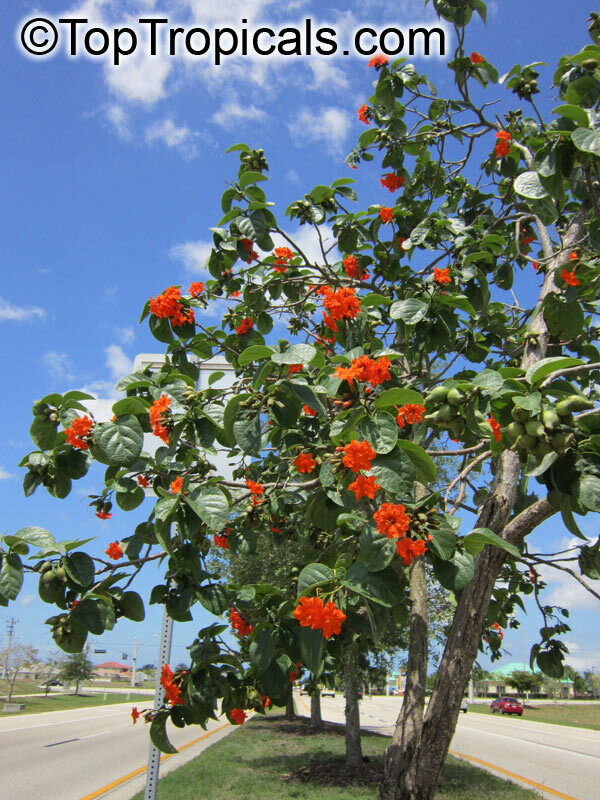 Flowers appear scattered over the tree, most of warm season. 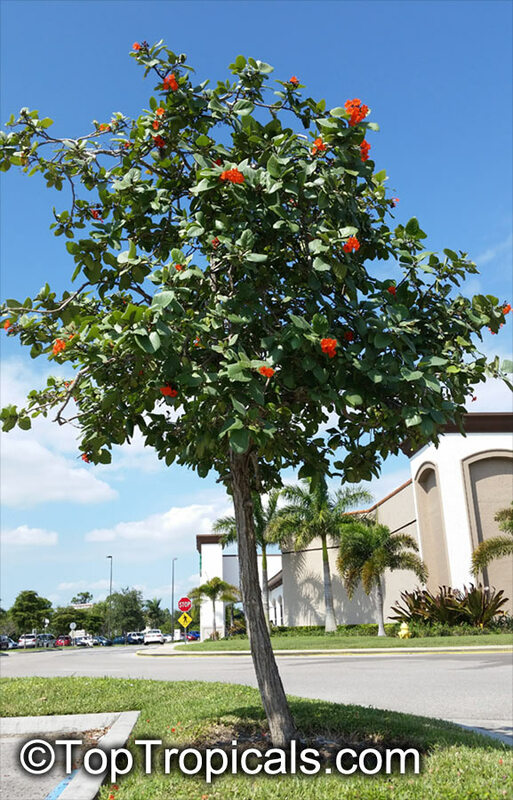 Popular landscape tree, however it is cold sensitive and won't tolerate any frost; other than that, it is easy to grow and undemanding.This item is certified for shipping to California.